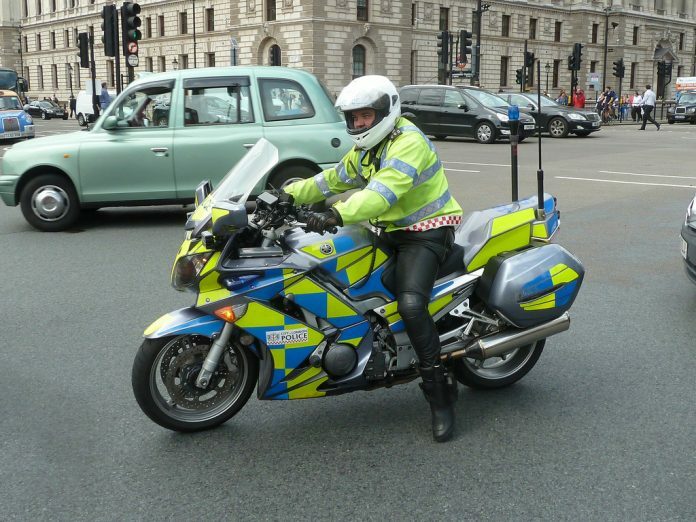 A biker has divided opinions recently after being handed a fine for impersonating a police officer. Darren Emanuel from London, was pulled aside after being spotted riding an ex-police bike and wearing a former police high-visibility jacket in central London.A police officer, who originally believed Emanuel to be a colleague, quickly came to realise he was just an ordinary biker making his way home after work. It is reported that Emanuel had purchased an ex-South police BMW R1200 RT on eBay for just over £2,500. The motorbike was still adorned with the Royal Corps of Transport crest sticker on the front screen and included an ER sticker on the rear number plate. In addition to this, the bike was still decorated in its original black and white Battenburg pattern with a blue light fitted to the rear end. In addition to this, at the time of the offence, Emanuel was wearing a POLITE notice high-visibility vest, an item extremely popular with certain parts of the biking community. The vest itself is available to purchase on eBay for as little as £5.99. When questioned in court, in defence Emanuel stated that he was simply adhering to the highway code which recommends that motorcyclists wear a white helmet and a high visibility jacket. In addition to this, Emanuel argued that at the time he had been wearing jeans and Chelsea boots, items that a police officer would not have been wearing whilst on the job. Emanuel stated that his justification for his outfit was the result of losing two friends due to bike accidents. Currently, motorcyclists account for 38% of all motoring deaths in the UK, despite motorcyclists making up only 1% of road users. Emanuel was charged with wearing a police uniform with the intent to deceive. The case comes just a fortnight after police were accused of making it easier to impersonate criminals by selling old uniforms on the auction website.